On Wednesday, 25 November at 18:30 the U.S. Embassy in Latvia, in collaboration with Kim?, was sponsoring a slam poetry programme performed by The Santa Fe Indian School Spoken Word Team. 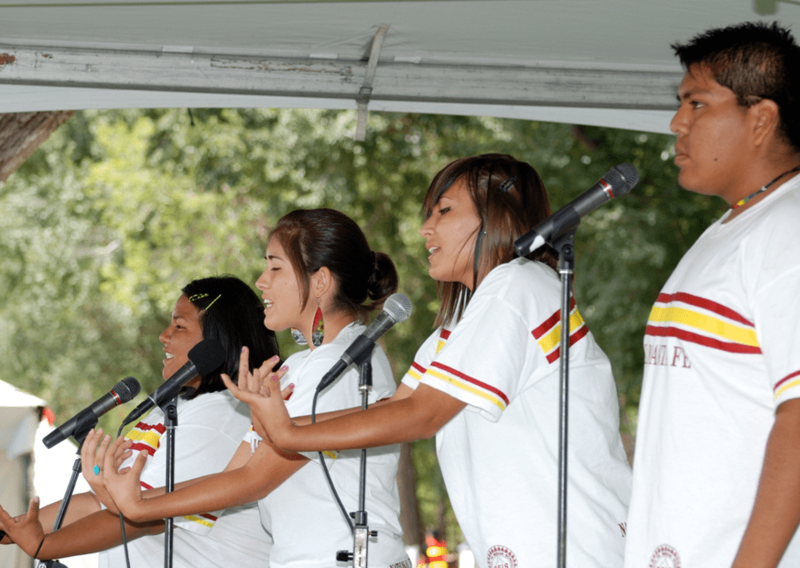 The Santa Fe Indian School Spoken Word Team is a group of indigenous youth writers – Nolan Black Eagle Eskeets, Santana Shorty, Clara Natonabah and Ariel Antone – who are nationally recognized for their performances of poetry that incorporates Native languages and philosophies. The group participates each summer in the Brave New Voices National Youth Poetry Slam Festival as Team Santa Fe, representing the capital city of New Mexico. The team has been featured in the New York Times, on the Jim Lehrer News Hour, and in the recent HBO television series about teen poetry. Additionally, the group was named one of the “Ten Who Made a Difference” by the Santa Fe New Mexican in 2008. They perform locally, nationally, and even internationally. The youths are coached by teacher and writer Tim McLaughlin. A poetry slam, started by American poet Marc Smith in Chicago in 1984, is a competition at which poets read or recite original work. These performances are usually judged on a numeric scale by previously selected members of the audience.